People split into two different camps—those who believe that crystals have special powers and those who roll their eyes. We (the authors) have long been eye rollers. We are scientists, after all. Acquaintances professing spiritual exuberance for quartz or steeping Himalayan rocks to make crystal energy tea send us into stammers of embarrassment. Crystals are solids surely as mystical as butter. 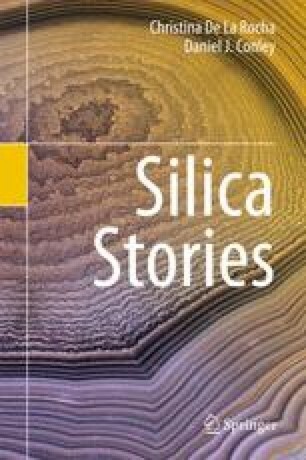 So, alas, the joke was on us when we knuckled down and read up on the scientific behavior of crystalline silica. It’s not exactly as the New Agers and several other more traditional traditions have it, but give a quartz crystal a squeeze and it will give off electricity. Who knew? Physical chemists, physicists, mineral physicists, materials scientists, crystallographers, and engineers, for one (or six) and, hey, now we have a lot of modern technology. Let us explain.